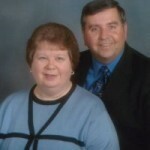 Jay Fretz has announced that he will be leaving his current pastorate at the Brookville, Ohio, Grace Brethren Church and will become pastor of Calvary Grace Brethren Church in Hagerstown, Maryland, beginning in February of 2012. Of his time in Brookville Fretz said, “My time at Brookville has been wonderful.” Prior to Brookville, Fretz had pastored the Maranatha Brethren Church in Hagerstown for a number of years. I wish Jay and Beth all t he best! God Bless you both. You have been a blessing to us and I am sure to may others. It will be good to have you back in Hagerstown. Jay, Bless you as you go back to Hagerstown. I know you'll be missed in Brookville, but nice to be back closer to home. We will be praying for you as you transition.